With Daylight Saving Time ending this Sunday, many Corry, Warren and Erie-area residents will drive in the dark more often. 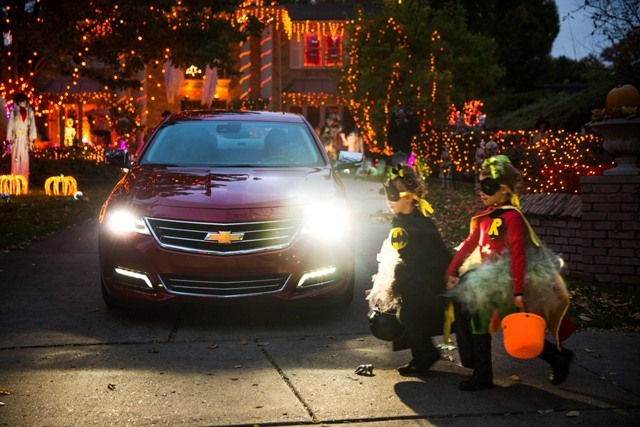 For those uneasy with night driving, the 2014 Chevrolet Impala can help brighten the task. The enhanced visibility provided by Impala’s headlamps can help Corry, Warren and Erie-area drivers avoid crashes after dark, the riskiest time of day. According to a study cited by the Federal Highway Administration, the risk of a fatality at night among drivers not impaired by alcohol is more than two times higher than in daytime due to less visibility. According to a 2009 study conducted by the Lighting Research Center at Rensselaer Polytechnic Institute, high-intensity discharge, or HID, headlamps like those on the new Impala can help drivers see objects in the road sooner than other types of headlamps, allowing for greater stopping distance.